Transmission usually causes some excitement among the beginners because it requires specific motor skills. Try to figure out where to start learning to drive with the mechanics and avoid mistakes. Actually the car with the mechanics, the flat area, time and patience. What is the transmission? To transmit torque from the engine to the wheels. Why gear a few? Because the engine is designed to work in a certain rpm range. And here is the first caveat: the lower the revs the less the thrust of the engine. Accordingly, the higher the thrust of the engine more. On the other hand, a small turnover to help save fuel and engine life. Because riding in a car with manual transmission requires a certain knowledge of theory and skills. The first and one of the most difficult is to start. Transmission does not transmit torque: when the included neutral gear, the engine works only on the rotation itself. Another device order to "decouple" the motor from the wheels is the clutch. Probation is the drive presses with different force to framasa of the engine to change the amount of the transmitted torque. This force is controlled by the clutch pedal. When pedal fully depressed the clutch disc is not pressed against the rotating parts of the engine (flywheel) applied force is zero. When fully tempered the transmitted force full. With the theory a bit sorted out. Let's get to practice. Sit in the car, adjust the seat and controls for themselves. Try pressing the clutch, brake, gas, spin the wheel. With the engine off several times switch gears. The better you get used to the car, the less bodø excitement. The less excitement the better. Start the engine, fully depress the clutch pedal and put it in first gear. This is the same gear in which you must start. It has naibolshee force and the lowest speed. Remember how in school, we lose in distance and win? Here is the same. Next, very carefully push a bit of gas. Approximately thousands of rotations. And very slowly releasing the clutch. Somewhere in the middle of the stroke of the clutch pedal the car will move. Then let go the pedal even more smoothly to the end. If the engine will be very large, or if the pedal is released before the end there is a risk to damage the clutch - after all, it rubs against a moving part of the engine. To priivate about it especially not worth it - it is created, but still need to remember these details. Usually the first time beginners start does not work. You receive the excitement, the movement becomes nervous and it was after this success definitely should not wait. You need to try again, again making everything smoothly and calmly. Try to catch the clutch pedal the moment when the engine starts to rotate the wheel - "grasp". Even a fraction of a second delay pedal in this position. So, to start with time you learn. Now we have to learn to shift gears. Slightly accelerate the car in first, release the gas and completely squeeze the grip. Move the lever into second gear and release the clutch. The pedal should be released smoothly but not so slowly as when starting off, because the car already has some speed. Give it a little more gas and enjoy the increased speed. Same in the further acceleration and the transition to higher gears. Theories are theories, but everything should be done in practice. I think my article will help you feel a little more confident. But professionalnyy the instructor will make it much much better. 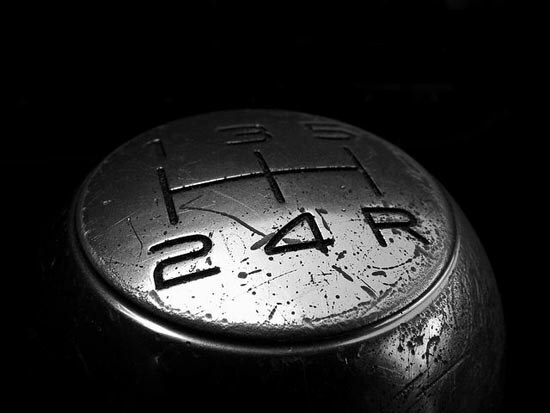 To learn how to drive a car with manual transmission this means to acquire skill. Like the skill of Cycling, for example. Scary, difficult, and broken knees:) But having acquired skill and everything becomes simple. The most important thing in learning to drive the car mechanics is to teach your feet and hands to do everything smoothly and confidently. The excitement here is not the best helper. So calm and just calm.